Highly customisable. Will suit any grip. Versatility at its best. 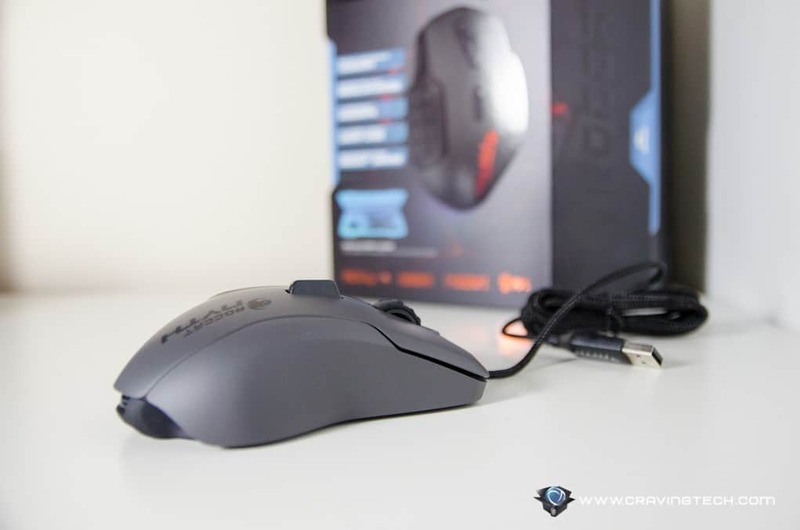 ROCCAT Nyth Review – Designing a gaming mouse is never easy and competitive online gamers demand the best from their mouse: accuracy, comfort, design, features, and the list goes on. 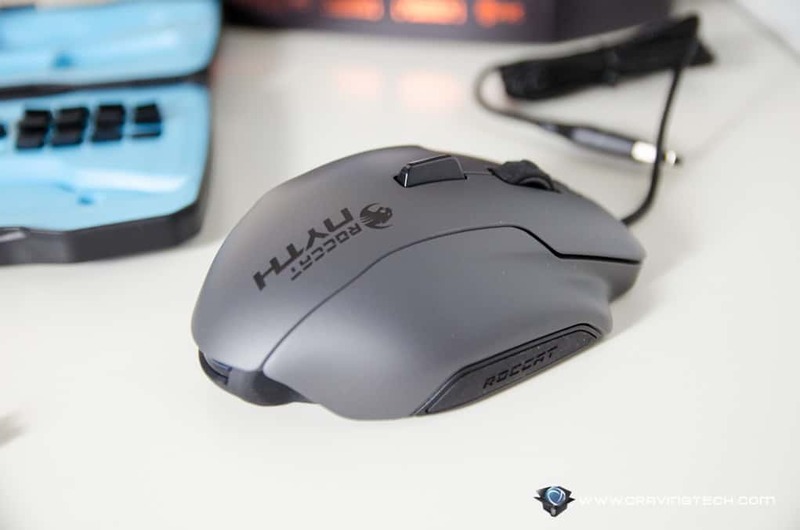 When you own a ROCCAT Nyth gaming mouse, it feels as if it’s your own personal gaming mouse, tailored to what you want. More side buttons for a specific game you play? Check. A different grip for different activities on your desktop? Check. The mouse can fully transform itself from one to another as it has hot swappable components. With a support of having up to 12 side buttons, calling Nyth design minimal is an understatement. However, that doesn’t mean the design is overcrowded too, even if it looks that way at first glance. 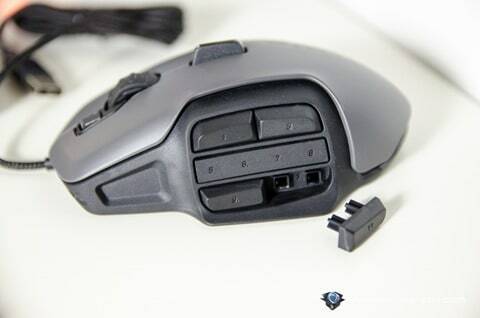 Designing a modular mouse with customisable components is certainly a challenge and if one is not careful, you can end up having a mouse that is good for nothing. Thankfully, the team at ROCCAT has thought of every detail to ensure that this is not the case. 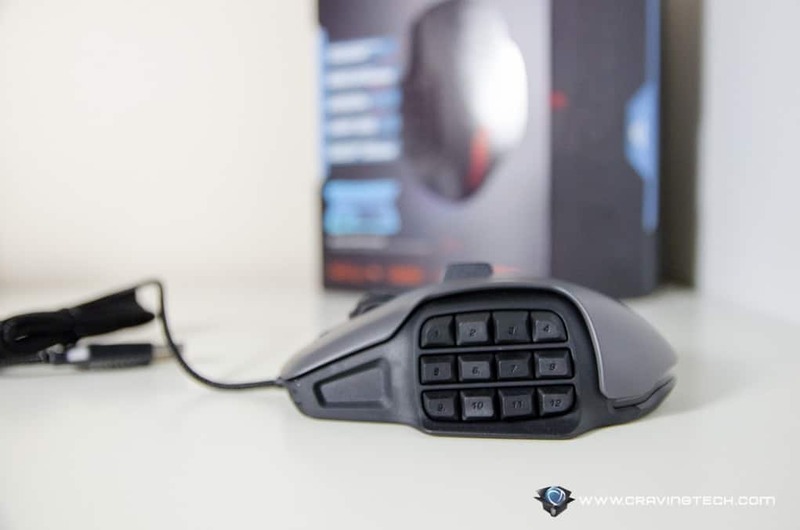 The main left-middle-right buttons tactile feedback are good and they are not tiring to click repeatedly (which I do often while firing a pistol [or dual-pistols] in FPS games). Zooming in-and-out of a scope in Left 4 Dead 2 with the middle mouse button is instantaneous due to the soft and responsive middle click. 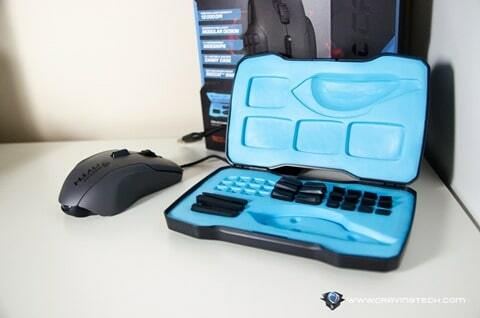 The tactile mechanical side buttons can be swapped and customised to your needs. You can have 12 smaller side-buttons, or 6 larger side-buttons, or a combination of everything (which means there are 18,369 different combinations possible!). Try the Nyth configurator online to check all of the combinations possible. These side buttons customisations are useful for switching between one game genre to another. 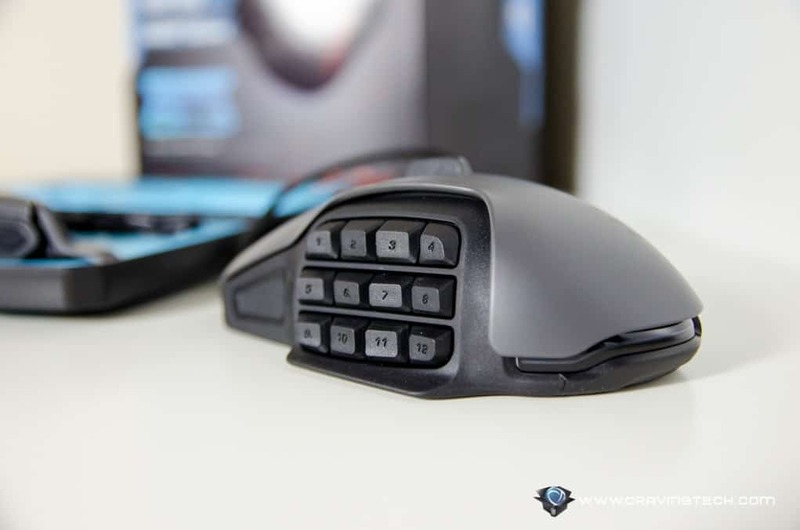 For a “default” configuration, I personally love the 2-0-2 combinations so I can rest my thumb on the middle row (I’m a claw, finger-tip gamer). 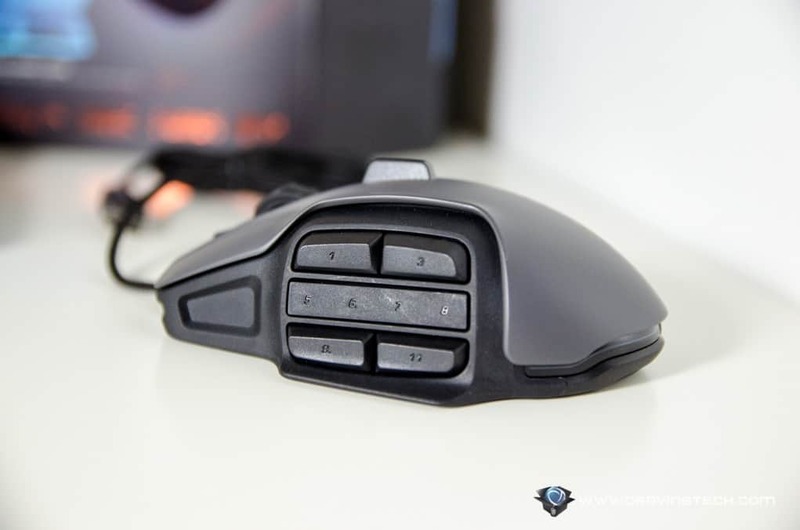 Nyth provides a thumb rest at the base of the mouse (below the bottom row) but I have a tendency to have my thumb rested above it. The button design also makes it so that you can feel and press them with accuracy. It does take some time to get used to, but each position feels right. 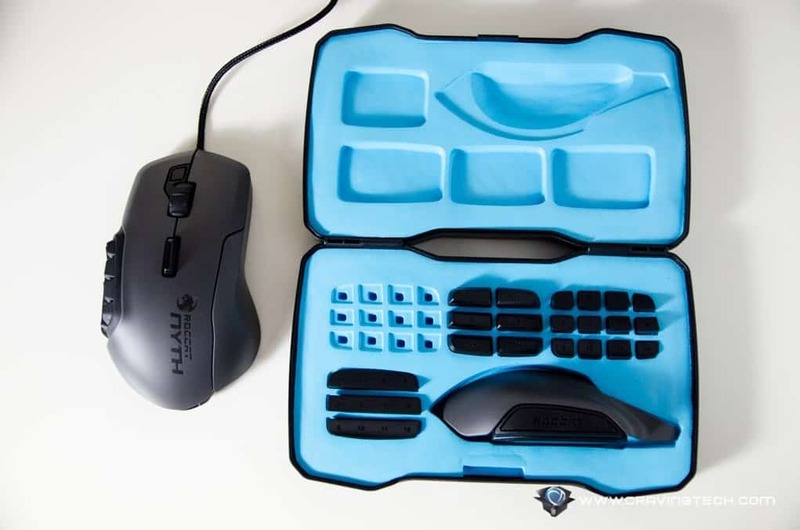 These swappable parts can be carried inside the included carrying hard case (which looks really cool, by the way), so you can bring it over to a LAN party, tournament, or a friend’s place. You can even design and 3D print your own parts if those crazy amount of customisations are not good enough for you. The Easy-Shift[+]™ button (located below the middle button) is a toggle where you can assign different functions to all the other buttons on the mouse. This, again, brings more customisations along with macros and all (a combination of both hardware and software). 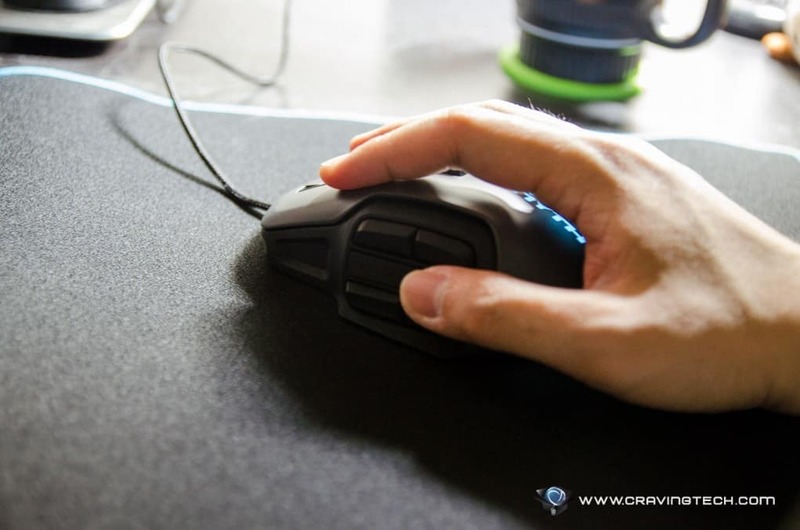 The right side of the mouse (side grip) is also hotswappable (only 2 parts, however), which depends on how you hold the mouse. 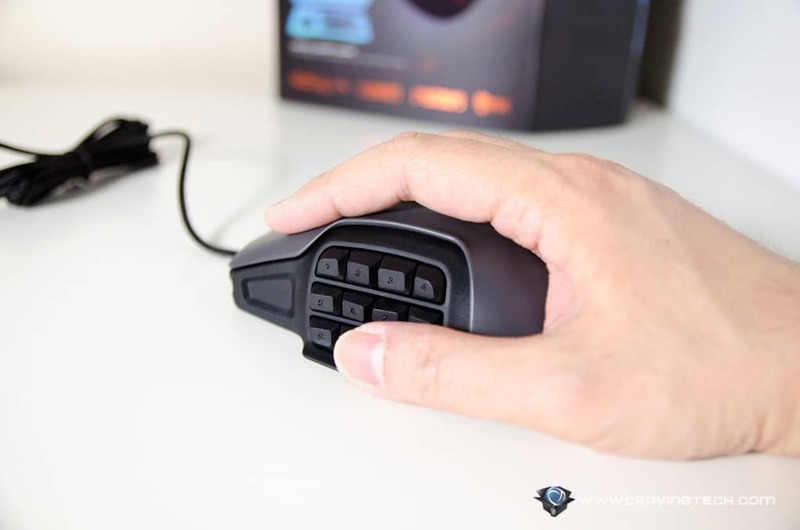 For palm grip users, I find that the “fatter” part is very comfortable to grip and have plenty of resting contour for the other fingers. I use the slimmer part, which is good for claw and finger grip gamers. For me, the ROCCAT Nyth feels a little bit heavy, but that’s probably because I’ve been using my SteelSeries Sensei Wireless so far (which is a bit smaller and lighter). Also, due to the high customisations, it feels that there are compromises that have to be made. 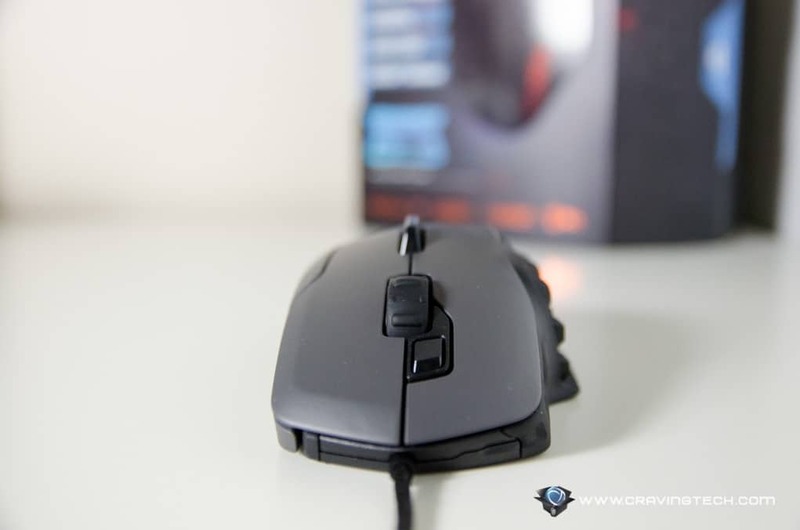 For example, if you don’t need that many side buttons, you’d probably be much better with a simpler gaming mouse, or one that is more ergonomic to your hand. The sensor on the Nyth is accurate as I snipe on my FPS gaming sessions (Left 4 Dead 2, CS:GO, and Killing Floor 2). 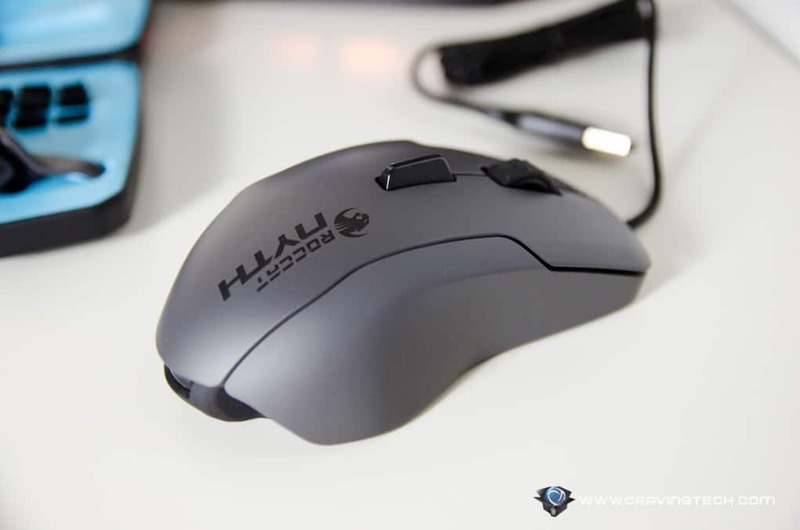 The aim goes to where I want it to and you know the gaming mouse works when your friends teased you for “cheating” with 500% accuracy level (no, I didn’t make this up, they did say that). For the record, I was using 4100 DPI in Left 4 Dead 2 with in-game sensitivity of 1. 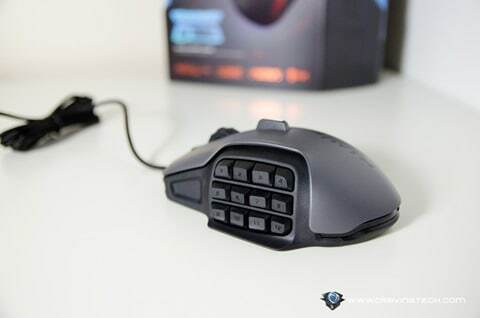 I can also disable tracking through the ROCCAT Swarm software when I lift the mouse off my ROCCAT Taito mouse pad (lift-off distance). This way, my aim stays to where my last cursor is. You can also customise accelerations, macros, and lighting through Swarm. 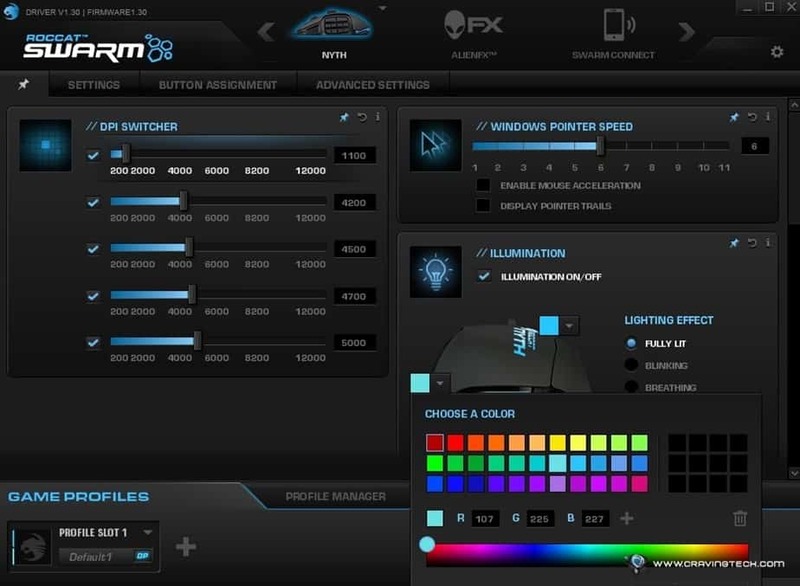 The lightings can be tweaked to match the color of your gaming keyboard, or desktop theme. 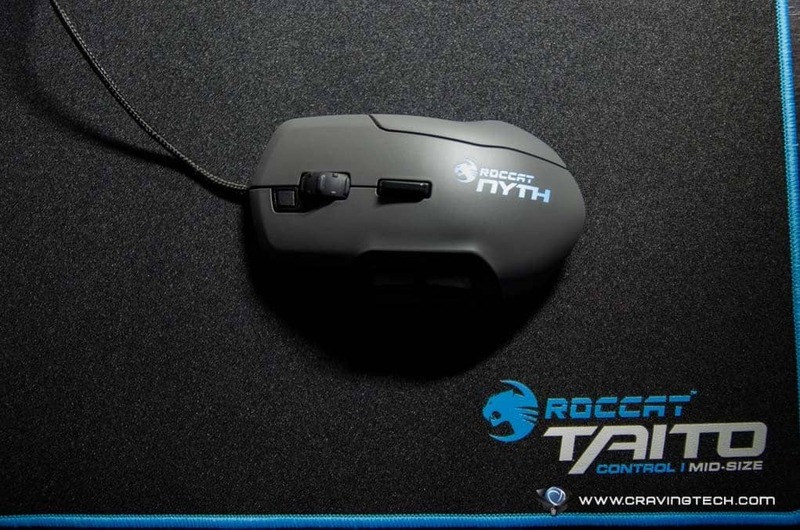 ROCCAT Nyth gaming mouse high customisability doesn’t take away the core of what a gaming mouse should be. Its sensor is very accurate, finger placements are comfortable no matter grip you use, and it really looks like a proper gaming mouse with its bells and whistles aesthetically. 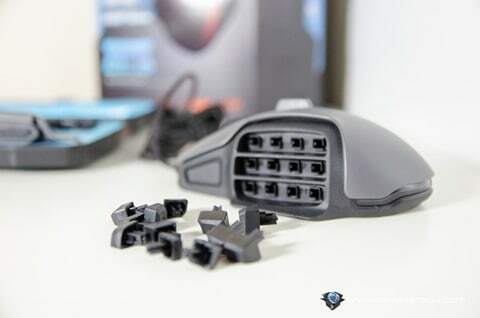 If you game a lot in different genre like FPS, MMORPG, or MOBA and you take advantage of macros and the use of side buttons, the ROCCAT Nyth is a worthy arsenal to have. Though taking the buttons in and out may require some of your time, the tedious process is definitely worth the effort as you can access more skills’ shortcuts at the palm (or claw?) of your hands. 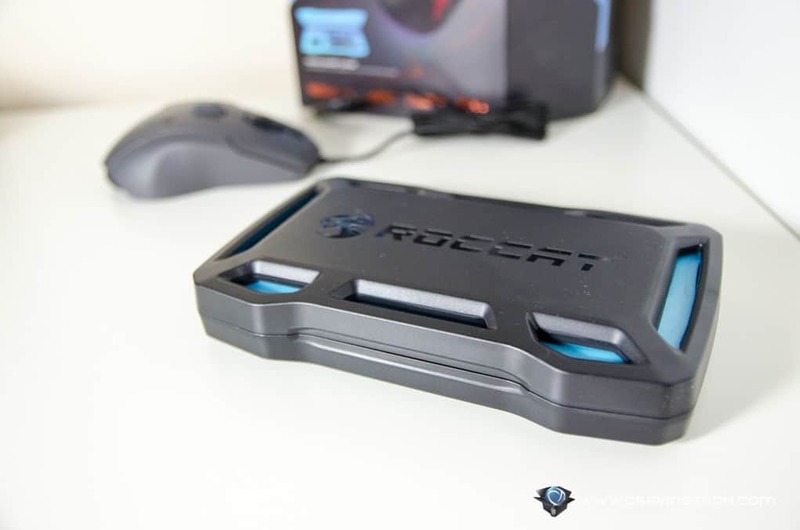 ROCCAT Nyth is creative, unique, and try to make sure that you can fully customise your own gaming mouse, as if it is personal. And it is personal to a gamer. 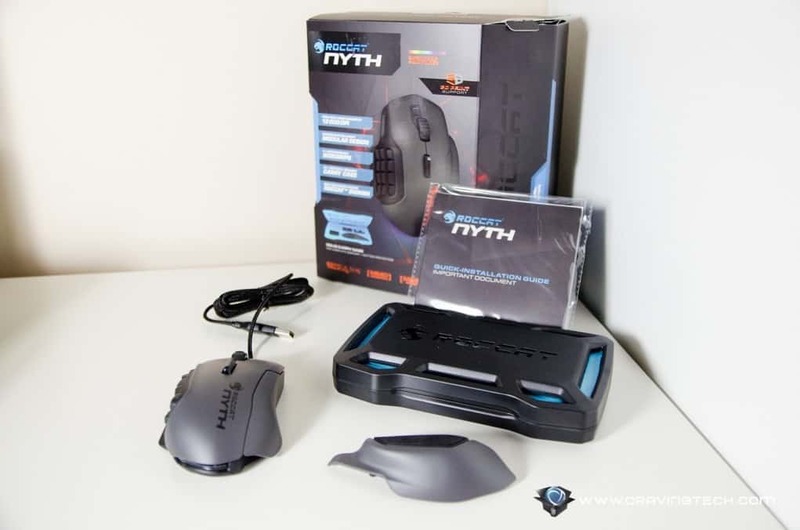 You can purchase ROCCAT Nyth at EB Games Australia.